Waverly, Kieran, and Seth are the main characters. Although, you only get Waverly and Kieran’s POV’s, and Seth plays more of a secondary role to their perspectives. I think Seth will become more of a player later on in the series. Waverly and Kieran really have totally different views on life, but are thrust together because of their situation on the ship and the fact that they are the two oldest children onboard. They have a surface relationship that has the possibility to go deeper, but their lives haven’t given them enough time to explore that road. The attack makes this more of a backstory, even though both of them think about it a lot. It isn’t something they can devote any time to. It comes to the forefront closer to the end, and everyone has to reevaluate how people can change, and how they themselves can change without realizing it. I really liked Waverly in the beginning, and throughout most of the book. The issue of fertility (only at a young age) and conception are also interesting, and the things that happen create some great drama and controversy. The fate of humanity rests on a few shoulders, and what is right and wrong conflicts with what is necessary for survival. Great ingredients in a story. Toward the end I felt like Waverly’s character shifted, became harder, and I wasn’t so sure I liked her anymore. Time will tell. With Kieran, he seems to be a good protagonist, but his thoughts and decisions drove me totally crazy. I found myself glad that Seth was more take-charge…he probably saved them multiple times. But Seth is also the kind of character that will drive you insane. Because he lies and is manipulative and wants power. Kieran is the opposite. He is a truthful and trustworthy person, but doesn’t have as much common sense and doubts himself much too often. This is why Waverly was my favorite character in the book, despite her tendency to be judgmental. I felt like character development was a weak point for this book. There were a lot of peripheral characters, and I kind of felt like none of them were consistent. Along with this, the main characters didn’t develop well, in my opinion. Changing and reacting differently to situations does not equal development. They all seemed to fluctuate on their values and strengths. It drove me crazy. 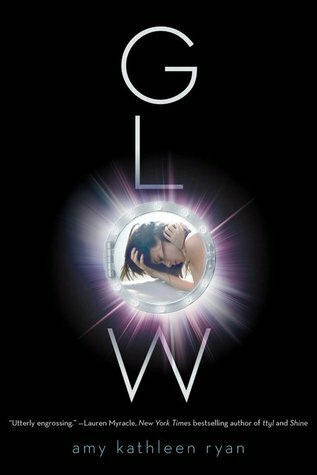 This is where the star got dropped in my rating, and the only reason I didn’t go with 3.5 stars is that the plot is great and the world the author created is unique and intriguing. This book is so different. The idea of space travel, science fiction, and the future of Earth is not a unique one. I have not yet read recent YA releases in this genre, so I can’t compare them, and I am glad. I think it is pretty safe to say that although the setting might be similar, that’s probably all that is. The story is complex and doesn’t follow the normal book outline/progression. Instead, it is action-packed and intense throughout the whole story. And yet there is sufficient time for character development (which I’ve already stated was a let-down…) The first section of the book goes back and forth between Waverly’s point-of-view and Kieran’s. The second section is all Waverly, and the last is Kieran until the very end. This was a little confusing as a reader at first, but I liked the effect of not knowing what was going on with one side. Were they ok? What were they dealing with? It was interesting. The setting is similar to many stories, being that it is set in the future in space. The ships are Earth’s last hope to save humanity. That’s pretty much it! Many years away from Earth, in a nebula in space. The ship is pretty awesome. I felt so weirded out by the idea of farming on a space ship. Also, the ideas behind how they get their gravity and the speed they go was a little confusing, but cool because the author explained why things were that way, and didn’t just leave it all to the imagination. She didn’t just pull ideas out of thin air, she did some research and talked to physicists…etc. There are huge fields and livestock, forests, and a school and trees grown just for oxygen…not something you think of when you think spaceship. The community gives off the sense of an early 1900’s farming town, which was an interesting contrast to the setting of the future. And yet they also have laboratories and technology to develop new procedures an medicines. Sometime in the future after Earth is in a state of decay because of things that humans have done. This isn’t explained much, but I think it will be in the next couple books. I hope so, because this is one of the things that drew me in the most. I wanted to know peoples’ secrets, and I wanted to know what drove them to send these ships into space. And I want to see them get to New Earth but I don’t know if we will see this or not. Some of the book felt strange…the language used didn’t read well for me, and it bothered me in the beginning. Once the action started, I was able to put it out of my mind. I am hoping the next book explains more, and that we get to see more than just these two ships. I was starting to feel a little claustrophobic. I loved how different this book is and how I feel like the author just wrote her story, and didn’t conform. There were a lot of layers and secrets within secrets. Some of it is intense and psychological. It really draws you in, and each chapter ends leaving you wanting more, so you have to finish it. I liked the complexity of the story and am hoping it gets better and I get more information, that some things get resolved, and that more awesome action happens that leaves me wanting even more and more! I don’t know if I will buy this book….it has a pretty cover and it is a decent read, but I will wait until I’ve read the next book or two before deciding if the series is worth owning and reading again someday. I am going to start doing something new. I post regular updates to the books I’m reading on goodreads.com. I do this so I know exactly what I was thinking at a certain point in the book…so that later I can reference it. This is so interesting, because when I wait until the book is over to start my review, things get resolved, I understand things more (at least hopefully), so I don’t remember some of the frustrations I might have had while reading. But I think it is important. As a writer and reader, I don’t think that a reader should feel as frustrated and annoyed as I do when I am reading sometimes. So…anyway……that said……here is what I was thinking when I was reading this book. In the first 10%: Technically, I started this book a long time ago, but never got into it. I didn’t try very hard though either. (It is harder for me to get into an ebook than a physical one) Now that the sequel is out and hold for me at the library, I am going to get on it and read this book! Plus…space! I love space! 30% in: This book started weird, and I didn’t like the writing style. Like…the actual words the author was choosing to use. But the action began VERY quickly with the point-of-view switching between Waverly and Kieran. I was pretty into it, but now a new section has started and I am only getting Waverly’s point-of-view. It’s weird, I keep expecting to finish a chapter with her and find what is going on with Kieran, but I’m not. So I’m guessing this whole section must be just Waverly. I can’t decide if this is a clever thing the author has done, or lazy, or just plain weird. Right after finishing it: Well, it picked up and had me salivating for the ending. This book is definitely different. It’s like, advanced space travel and an agrarian community smashed together with a dash of superstition and a nice complex storyline. There were things I didn’t like, and one of which is the conflicting feelings I had regarding pretty much every character. But I can’t wait to find out more in the next book! I am glad I have it! I’m diving in! Just For Fun: Here’s a link to the book trailer…not my favorite, but the graphics are cool.